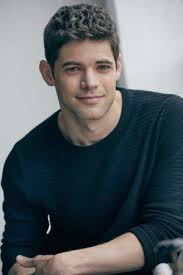 Jeremy Jordan, who is most known for his role as Jack Kelly in the musical ‘Newsies’, announced his return to Broadway on Tuesday, March 19th. He posted a video on his instagram account that told all of his fans that he would be the next Doctor Pomatter in the popular musical, ‘Waitress’. He mentioned that he would be performing his role at the Brooks Atkinson Theatre, starting on April 8th. Jordan’s video showed his excitement for the role, as he has been a fan of the musical for quite some time. Many students at SWHS that are fans of Jordan are excited for his return to broadway because of his talent and all of the passion he has while singing. Shivkumar and others think that he’ll be a great Doctor Pomatter, because “Dr. Pomatter really needs to be fueled by his emotions, especially in the song ‘Bad Idea’. When he discovers his feelings for Jenna, it’s really important for whoever is playing Dr. Pomatter to show a drastic change in how he thinks and how he acts from that moment forward.” What Shivkumar is trying to get at, is that Jordan definitely will be able to fill these shoes because he shows so much emotion in any song that he sings and any character that he plays. Additionally, Junior, Molly Cole, simply states that, “He’s a great actor with an amazing voice, I think that he would be a great Mr. Pomatter.” Overall, Jordan has so much talent and has shown all of his talent in the musicals that he has performed in, in the past. He has been on broadway a handful of times in the last decade. His broadway debut was when he was in the ‘West Side Story’ Revival in 2009 as the alternate for Tony. Next, he played the role of Clyde in ‘Bonnie and Clyde’ in 2011. Soon after in 2012, Jordan performed as Jack Kelly in ‘Newsies’ which is one of the most popular shows that he has been in. Many people enjoyed the show, and it actually became a movie musical in 2017. Jordan hasn’t been in a Broadway musical since Newsies, but he was in play that was on Broadway in 2018. This play was called ‘American Son’ and ran for only a few months. Now, only after a couple months of not being on broadway, he is going back and will be in ‘Waitress’ the musical. Jordan will start his journey as Doctor Pomatter in ‘Waitress’ on April 8th, 2019 until May 12th.